Home » The Looptail, The Travel Blog Powered By G Adventures » Exploring Poland’s "second cities"
Everybody goes to Warsaw. And so they should — three decades after the grim Soviet occupation, Poland’s capital city has every right to boast about its shiny, youthful, and very Euro-smart new look (and outlook). But visiting Poland and only going to Warsaw is a bit like visiting Italy and only going to Rome. Poland is full of great cities. Travellers tired of Warsaw’s few (but growing) corners of bland, could-be-anywhere architecture and occasional snippy fits of Westernized anonymity will be more than compensated for by the so-called “second” cities; busy but calm towns where old-world traditions and sincere hospitality have not yet been swept away by international money. Another plus: compared to Warsaw, or most other major European cities, the cities listed below are so affordable that splurging is more than justified. Remember to tip, and tip well. Poznan is a perfect example of an Eastern European city, with a basic layout I’ve seen repeated, with variations of course, from Riga to Sophia. A small but well-preserved Old Town founded in the Middle Ages sits in the centre of a set of overlapping urban rings, starting with a chain of well-loved parks brushing up against the Old Town, followed by a smear of ghastly Soviet-era Brutalist towers which you can quickly dodge on your way to the next layer, the lively New Town, where smart capital likes to plunk its glass office towers, malls, and luxury condos. After you explore the cobbled Old Town, be sure to wander around the lush, quiet parks, which are full of adorable red squirrels and gossiping grannies. 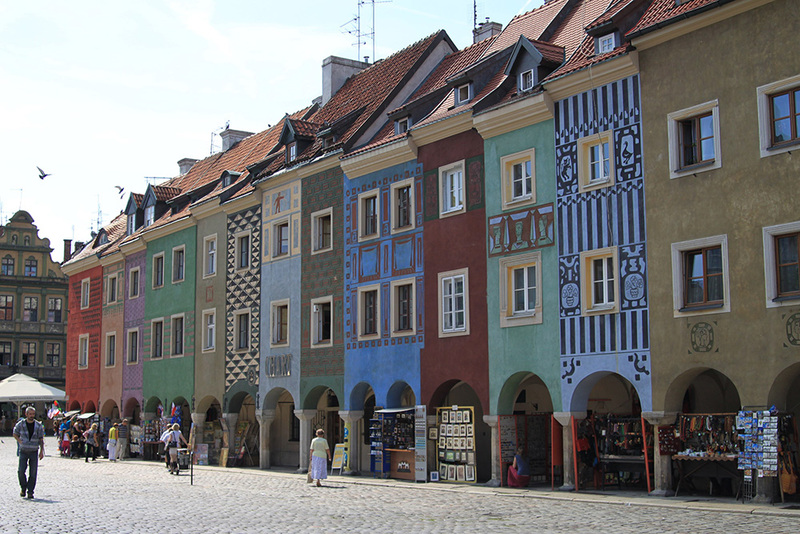 Poznan is an artist’s city. With a large student population and a growing international trade sector, artists have their audiences and their buyers right to hand. The top galleries include the Municipal Gallery Arsenal, a multi-purpose space hosting exhibitions, performances, and community art projects; Kolektyw 1a, a hub and non-profit organization that sponsors public art installations, live music, and publications; and Galeria Piekary, Poznan’s leading commercial gallery, specializing in new contemporary Polish art. Everywhere you turn in Poznan, somebody has opened a gallery. It’s like Brooklyn 15 years ago, but without the hipsters. Wroclaw, Poland. Photo courtesy of Maciek Lulko. Wroclaw is the most proudly cute city I have ever visited. The locals seem to know that their toy-town city, a maze of meandering narrow streets and alleyways crammed with an eclectic mix of architectural styles, will never be a metropolis. And they could not care less. A few hours east of Berlin, Wroclaw is not a party place, it’s a sit-down fancy dinner place, and you’ll be glad you took the time to let the city’s agreeable, casual vibe sink in. Once a centre of anti-Soviet activism, the city is now committed to a childlike playfulness that would be galling in another setting. For instance, the inner city is dotted with small bronze statues of gnomes. Gnomes sleeping on window sills, gnomes guarding planters, gnomes snarling behind barred bank windows. Once you see one gnome, you can’t stop seeing them. Equally sweet-tempered is the central square, an enormous pedestrian zone dotted with market stalls. Wroclaw’s long history as an industrial centre began when the city became known for its artisans and craftspeople — and now the city is once again in the midst of a craft revival. 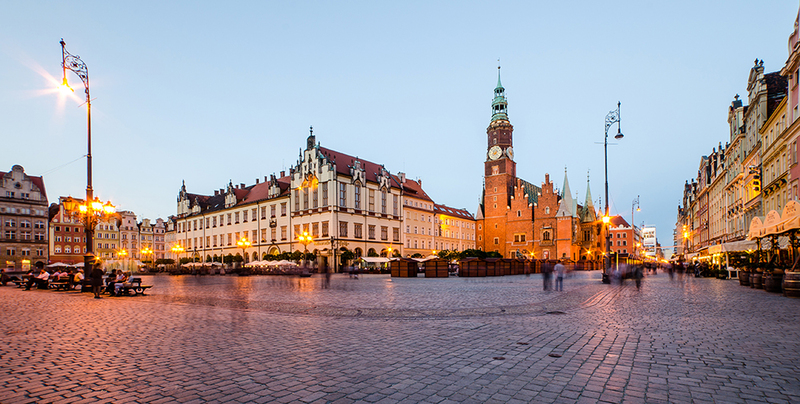 When shopping the central market for whimsical ceramics, hand-made knitwear, and wooden toys, as well as local cheeses and herbal concoctions, you realize that Wroclaw has not fully signed on for Poland’s rapid Westernization. Not everything needs to change — a sentiment best understood while mildly drunk on locally produced Krakus vodka and eating Zapiekanki (aka Polish Pizza, a cheese slathered hunk of bread) from a late-night stall. Krakow. Photo courtesy of Fougerouse Arnaud. Krakow strikes some as a melancholy town. Once a centre of Jewish life in Poland, the city suffered enormous losses during the Nazi occupation. Memorials to the lost rightfully dominate the city centre, which also used to be the Jewish Quarter (and is quickly becoming so again, as Jews from all over the world return). Krakow is so rich in history, both joyful and horrific, that it is easy to overlook how the city is rebuilding itself as a cultural capital. The young people opening local design shops, coffee roasteries and “ruin bars” (set in old warehouses) are entrepreneurs committed to making a new and more open future while preserving the city’s turbulent history. 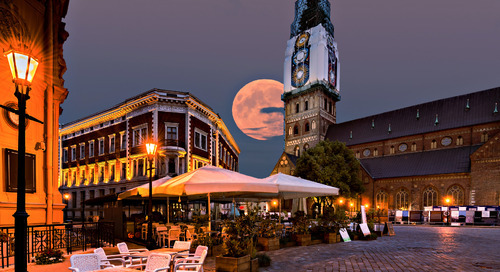 Subsequently, Krakow is Poland’s most liberal and diverse city – bookish and foody by day, open all night for clubbing. In a city crammed with sights — the Oskar Schindler (of Schindler’s List) Factory, now a museum, the architecturally chaotic Wawel Royal Castle — my favourite is the enormous Krakus Mound, a massive, purpose-built pile of earth that resembles a small hill. Legend has it the centuries old mound is the burial place of King Krak, a legendary 12th Century city founder and dragon slayer. Nobody knows for sure if Krak lies beneath, but the sweeping, misty view from the top of the mound will make you feel like you have climbed Poland’s own Stonehenge. Ready for a trip to Poland? 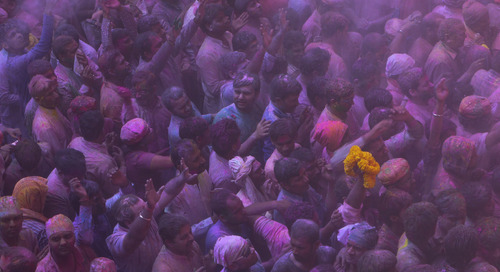 G Adventures can get you there. 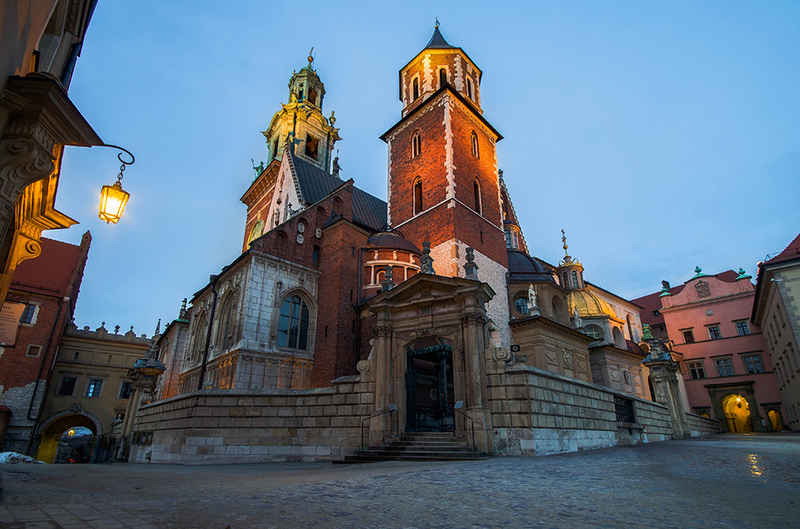 Check out our small group tours to Poland here.